For most people, the idea of “an investor” evokes a certain stereotype. And while many traditional investors do have similarities, a new category of investor is emerging that doesn’t look like what we typically think of. Many new investors are investing through platforms like FrontFundr, which opens up stringently vetted investment opportunities to regular people and accredited investors alike. Today’s investor is diverse; today’s investor is not a stereotype. We want to introduce real investors to the FrontFundr community and show that anyone can be an investor. FrontFundr launched its “I’m an Investor” campaign in order to remove barriers and beliefs that only certain types of people can be investors. We want to show diversity. We want to show real people. We want people to feel empowered to know that they, too, can become investors. People who have invested through FrontFundr include small business owners, full-time moms, university professors, and business consultants, just to name a few. If you’ve ever wondered about how you can support startups and get involved on the ground floor with an early-stage company, FrontFundr makes this possible. From professional investors to first-time investors, anyone can invest through FrontFundr. For information on becoming an investor, visit our How It Works section for investors. 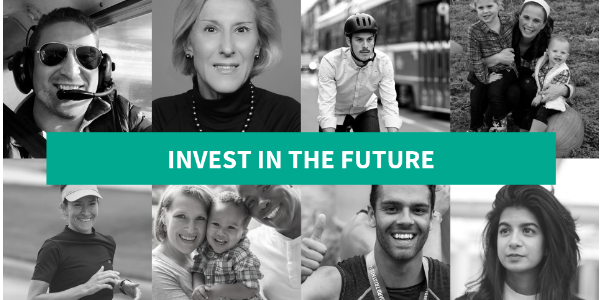 If you’ve already invested through FrontFundr and would consider sharing your story, please contact us. Follow our campaign on social media # FrontFundrForAll.